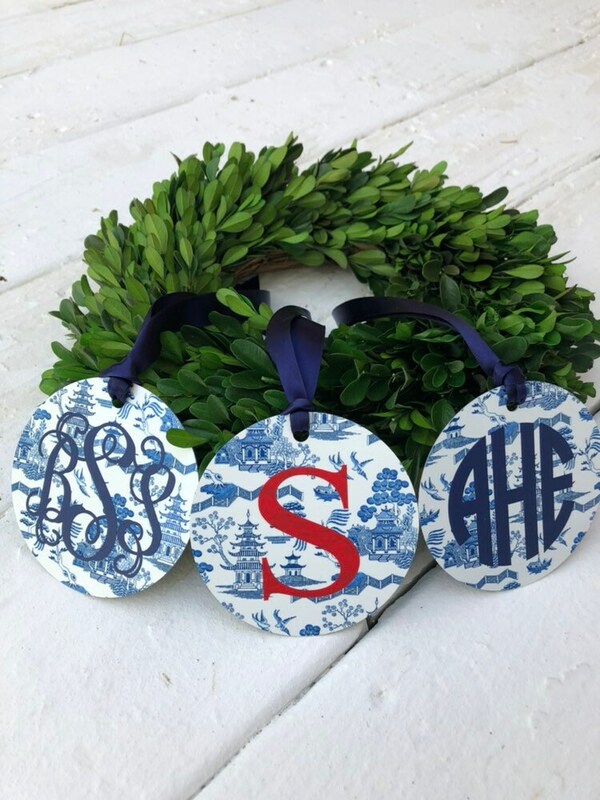 -PLEASE be sure to type desired monogram or initial into the "Optional Notes to Seller" box before completing checkout! 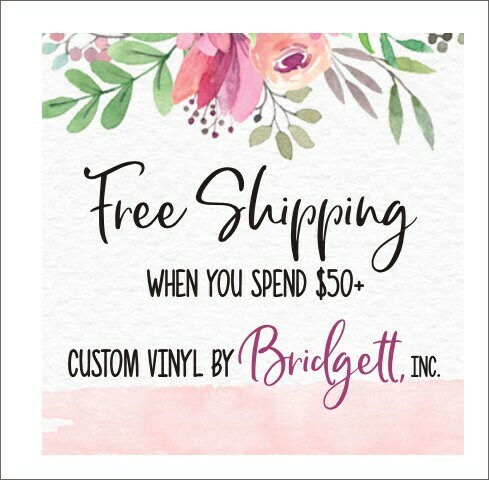 We cannot process or ship your order without this information. 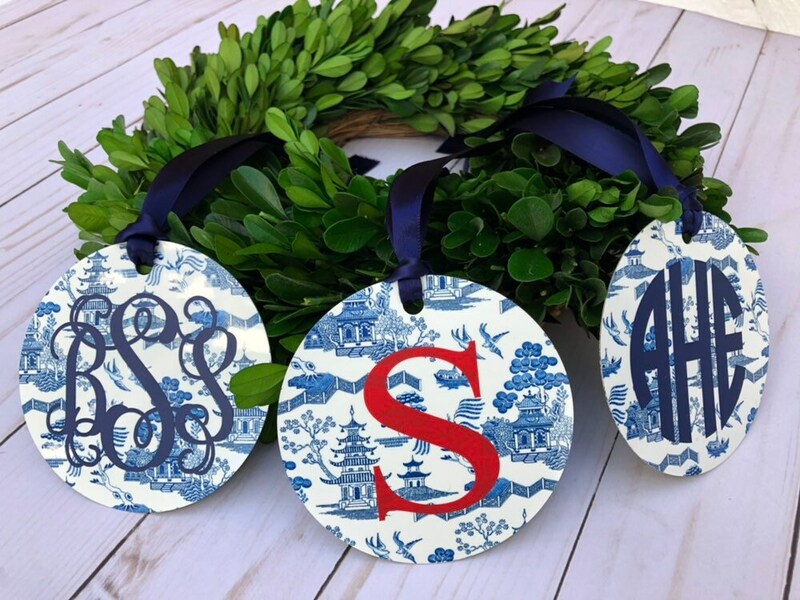 When listing three letter monograms, be certain to type the letters in in the EXACT order you want them to read from left to right. 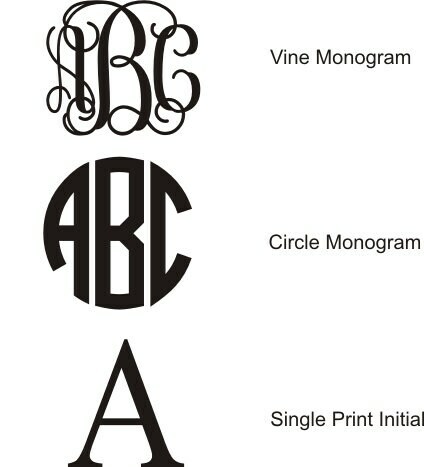 We will make your monogram exactly as you type it in. For example, if you type "AHV" we will use the exact order of AHV from left to right. Please make lettering color and font selections from drop down menu of options. *Please Note* Berries/greenery is for decorative purposes only and not included in purchase. Slight imperfections and variances may occur in the placement of the lettering, etc. This is the nature of handmade goods and what makes your item unique! The item was as advertised. 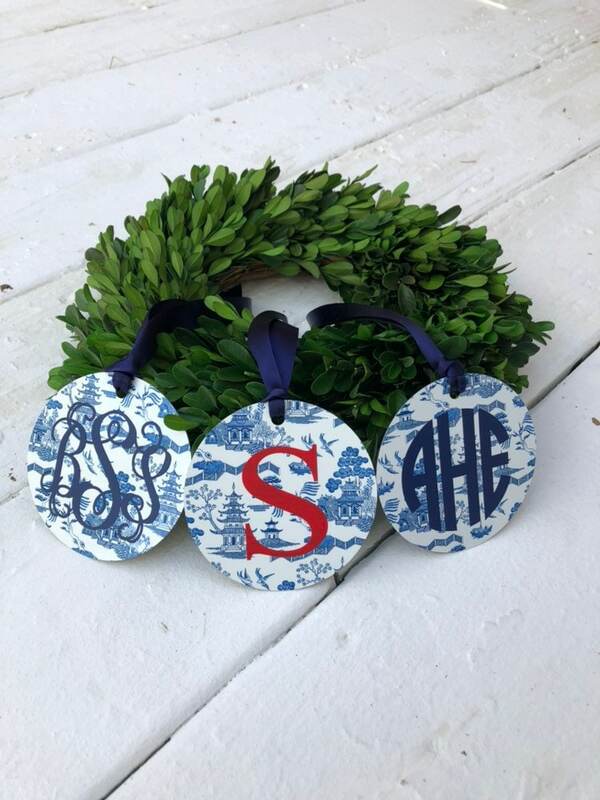 My daughter lives in the south and monogram anything is a must have! 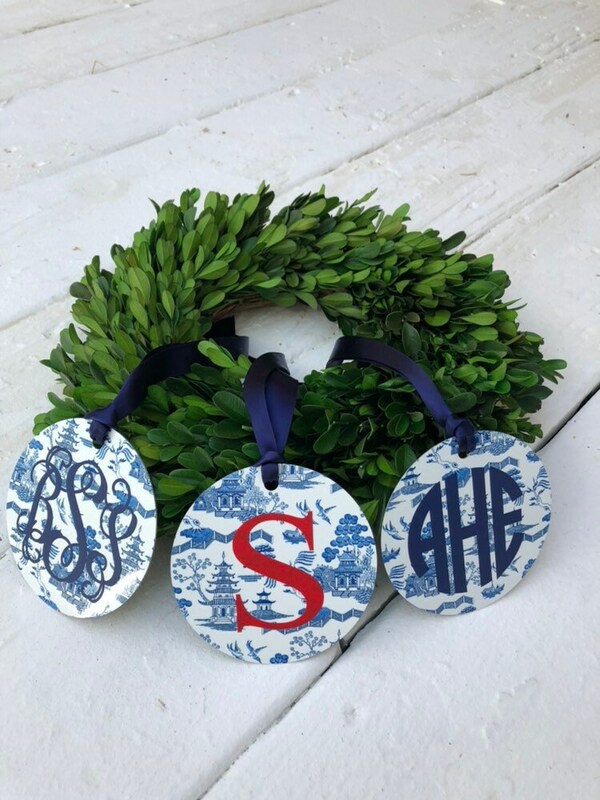 She absolutely loved the monogram and the blue and white design matched her decor perfectly! Highly recommended.